Buying dried beans is extremely cheap. All you frugal types will agree you can get significantly more beans by forgoing the canned variety. I like saving money and at the same time getting more beans for my buck! The cool thing about dried beans is they expand when soaked, so you end up with even more beans per dollar spent. There are so many different types of beans that you just canned find canned. 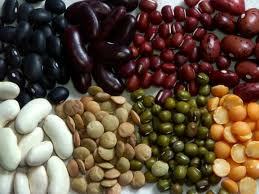 Anyways, there is so much variety to be found in dried beans. It’s awesome to try new varieties every now and then and bypass the canned bean aisle with the same old stuff. Bean there, done that. 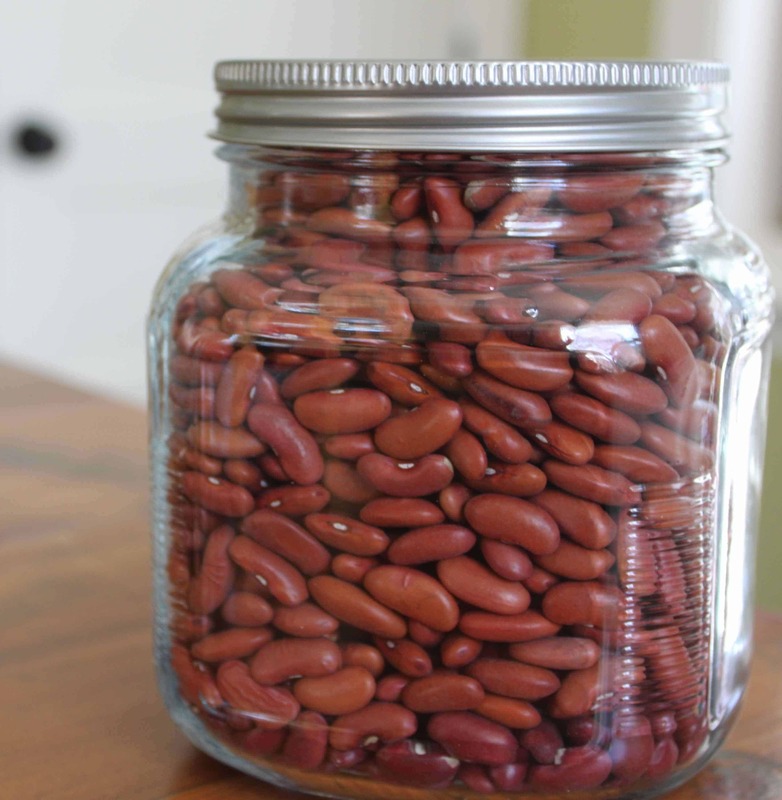 Instead of having tons of cans in my pantry I just bought some Mason Jars and filled them with the beans. People seem to have this preconceived notion (I know I did) that soaking beans is hard work and takes lots of time. Not true I say. It’s not like you have to stand there and watch the beans soak. To soak my beans, I just pour them into a bowl, and add water. That’s it! I then leave them submerged in water to soak over night and have them ready to cook the next day. It’s easy!